A simple log sanctuary was built on this land in 1904 by local Russian Orthodox partitioners. 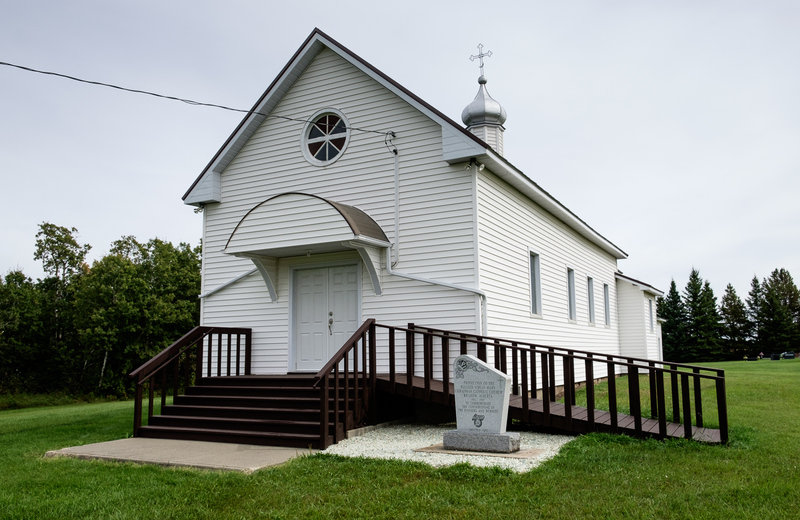 That church was destroyed by fire in 1914 but with financial help from the American Diocese of the Russian Orthodox Church another church was built by 1916. Around this time war and revolution in Eastern Europe at this time made it very difficult to secure the services of priest and with the Ukrainian Greek Orthodox Church was established in Saskatoon and a sense of nationalism growing in the partitioners of Ukrainian background a group of Ukrainian Orthodox believers split off from the congregation eventually building the church directly across the road from this one. Lightning hit St. Michael’s in 1978 and it burned to the ground. The present church was constructed in 1980 – 81. Filed under Churches and Cemeteries.